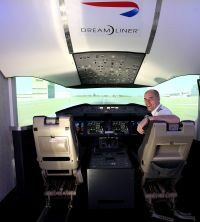 British Airways stole a march on all the other world’s airlines at Farnborough by having a 787 simulator on display. 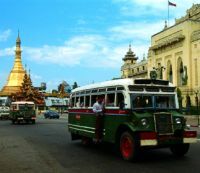 Delhi (India) and Yangon (formerly Rangoon), the commercial capital of what was once Burma but is now called Myanmar, are the latest destinations to be served by ANA, both from Narita. No Exclusions Ltd, a private UK-registered company, has announced the launch of an innovative new policy offering the airline passenger peace of mind protection against the cost of a new ticket, when any unforeseen circumstances mean that they miss their flight. This pioneering scheme has been put together in conjunction with easyJet. Readers should not be alarmed. BTN is not a national newspaper trying to exploit a situation for its own good. 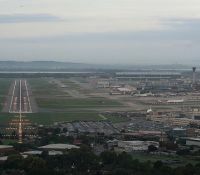 London Luton Airport Ltd (LLAL), the company that owns the airport, and London Luton Airport Operations Ltd (LLAOL), the airport’s operator, have announced a significant step forward by signing heads of terms that would enable the airport to continue to be managed, operated and developed by LLAOL through to 2031. 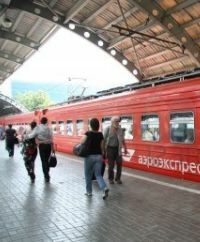 Domodedovo Airport, Moscow’s largest, is now finally connected to Paris, and to Orly rather than Charles de Gaulle. Transaero Airlines has introduced a twice weekly service on a Wednesday and Saturday. 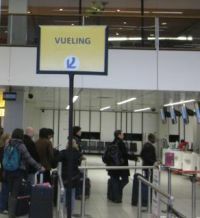 Spanish airline Vueling and British Airways have signed an interline agreement whereby all passengers on the UK airline will be able to connect directly to the 74 destinations offered by Vueling from its hub at Barcelona El Prat. The same works in the other direction too. Luggage checked in at the original departure point will also be tagged to the final destination if it is on a BA flight. Are you getting by email BTNews on a Monday morning? One of the first acts of the current Government was an impetuous decision to abandon any further discussion on a third runway for Heathrow. Pure politics. Nothing to do with the needs of the nation. In a bid to put that ghastly mistake behind it, last week the Coalition published what it called “the foundations for the future growth of aviation", a draft policy paper. Justine Greening, Transport Secretary, delivered it. Even by Westminster standards it must have been the non-document of the year. It mentions a rail link from the west into Heathrow (which would indicate at least some interest in the airport); talks about the further liberalisation of the UK aviation market to encourage foreign airlines to develop routes from airports other than Heathrow; says something about inviting train companies to explore the potential of ‘code-sharing’ between flights and long-distance rail services. It is essentially pure waffle. Most of what it says we already know about. HS2 is moving forward, there are new trains on the Stansted Slow which have not made the service any quicker, and Gatwick Airport station is being upgraded. A separate call for evidence on how to maintain the UK's international connectivity and hub status will follow later in the year it was announced. More delay, more delay, more delay. Appreciating the position the House of Commons Transport Committee quickly agreed to hold an inquiry into the Government’s aviation strategy, which will include consideration of options for expanding airport capacity in south east England. Full terms of reference and a call for evidence will be published in September. There has been a host of comment on the Minister’s statement from interested parties. Darren Caplan, Chief Executive of the Airport Operators Association, said: “The more we delay the more jobs, businesses and routes the UK loses to competitors”. 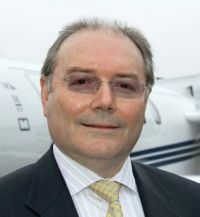 Mr Caplan has also been banging the drum regarding APD and has at least 62 MPs signed up on a Parliamentary motion for HM Treasury to commission a comprehensive study into the full economic effects of aviation tax. Last Friday an action group A Fair Tax on Flying sent 40,000 emails to members of the House of Commons detailing the malfunction of the levy. Mike Carrivick, another Chief Executive, this time at BAR UK, the airline’s representative body, called on the Government to act decisively sooner rather than later and warned that continued prevarication is damaging to business and employment prospects. Mark Tanzer, ABTA Chief Executive, more or less said the same thing. Action is needed now, not tomorrow. This Government has already wasted 15 months prevaricating. We have actually got nowhere. And when this discussion document is eventually published all it is ever going to produce is more talk, and even less action. A fine non-partisan piece by Peter Mandelson in The Times summed up the whole messy issue “Only the wise men can land an airport policy”, he said. Mandelson is not one of our favourite politicians, but he was Business Secretary from 2008 until 2010 and gives an example in his piece of when the two major parties worked together. He says that neither side were allowed to duck the issues. As a member of the House of Lords he can say what he likes, and does so. Mr Mandelson does not argue for one solution or another but just outlines the situation in a well researched and informative manner. Let the Coalition watch the Olympics and then have a holiday. But do come back refreshed and ready for some air transport action or before we know it five years would have been lost. Not a new aircraft, but a popular stalwart, British Airways has introduced the first of its refurbished Boeing 767s as part of a multi-million pound programme to enhance customers’ experience. 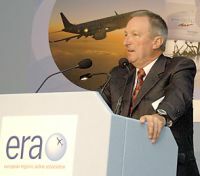 The European Regions Airline Association, commonly known as ERA, will hold its annual get together at the congenial city of Dublin, 19-21 September 2012. Backing up the gathering is once again an exhibition of a range of companies involved in the industry. 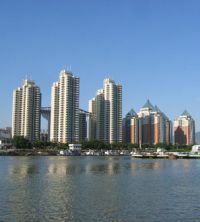 Passengers boarding Hong Kong Airlines daily ‘Business Class only’ service from Gatwick to the airline’s Hong Kong hub can now connect directly to Fuzhou, a new destination for the carrier. The route is made possible by a re-allocation of traffic rights. 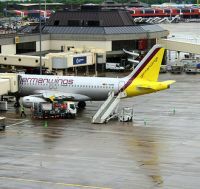 Germanwings, the wholly-owned Lufthansa budget airline, yesterday (15 July) introduced a new non-stop service between Manchester and Stuttgart which will operate on a Monday, Tuesday, Thursday, Friday and Sunday. 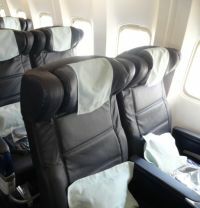 It is the only airline to offer the route. A familiar sight to airport regulars on the Bath Road at the north side of Heathrow, the Ramada has become the DoubleTree by Hilton. 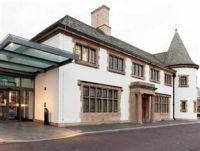 The 200-room property is just a few minutes by shuttle from Heathrow’s central area and its excellent transport connections to central London. In a move more typical of another Luton Airport resident Wizz Air is to charge for what it terms “large cabin bags”. 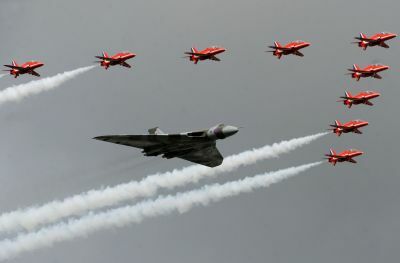 When the flying stars of the opening days of Farnborough are three bombers, one from the 1940s, and the other two early 1950s you might say it is going to be a ‘vintage’ Farnborough. It rather depends on how you define the word ‘vintage’. We saw an Avro Lancaster, Avro Vulcan, and a Boeing B52, which is still in active service. It was also very wet, which did not help, but at least the Hampshire site now has semi-permanent facilities, rather than the canvas structures of the past which were susceptible to weather problems. In fact the sometimes atrocious conditions were good news for those showing in the four huge exhibition halls, which were really busy, and with some clever redesigning and smart carpet, most welcoming. I checked in at an hotel that was new to me last week. “No problem at all sir,” was the helpful reply. 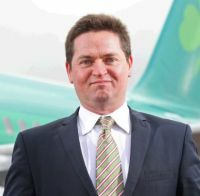 "Our club is open 24/7,"
Whilst still in a fight with Ryanair over ownership (and investor Etihad saying that its current 3% stake is not for sale – it could even increase) Aer Lingus has demonstrated considerable vigour by announcing six new routes and increased frequencies for the coming winter. What could have been the star of Farnborough is sitting, as BTN is published, at Charleston International Airport, South Carolina. 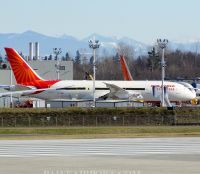 Ready for delivery are three Boeing 787’s the subject of a very serious dispute between the aircraft manufacturer and government owned Air India. Taking an active interest is the Indian pilots union IPCA, who are also in disagreement with the airline. Claiming to be the largest low-cost airline in Latin America, GOL has restructured its international route network. New direct flights will depart from Guarulhos International Airport, the São Paulo gateway, to Montevideo (Uruguay), Asunción (Paraguay) and Santa Cruz de La Sierra (Bolivia). Nearly 25 years since London City Airport’s first scheduled departure (26 October 1987 – Brymon/Air France Dash 7 to Paris Charles de Gaulle), CityJet flight AF5118 from Dublin 08:50 on Wednesday 11 July 2012 marked the one millionth aircraft movement. Air France, who own CityJet, are the only carrier to have operated at the airport through the quarter century of its existence. Dubai now has a Melia hotel, not only the first of the brand in the city state but also the first in the Gulf Region. The Spanish company says it is active in opening other properties in the area. 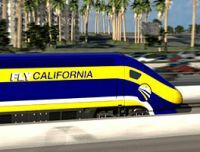 California's Senate has voted to approve the first US$8bn of a US$69bn high-speed rail project that will connect San Francisco to Los Angeles and on to San Diego. It aims to relieve congestion on freeways and at airports, as well as provide faster travel on the ground between major metropolitan areas in California.